“We love to share our enthusiasm for outstanding coffee and take your taste buds on a mouth-watering adventure. 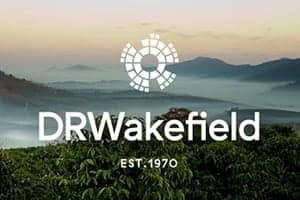 Our roasting style highlights the exceptional work done at the origin and shows off the coffee's unique flavours.” The short description of Vertical Coffee Roasters could be a summary of many ambitious roasters and it definitely gives you an idea of their attitude towards and respect for the Speciality Coffee as a product. What their description did not capture is the amazing background of the roasters and their introduction to coffee. Vertical Coffee is a wonderful project that presents clearly the roasters’ interest, ambitions and approach to life as a whole. 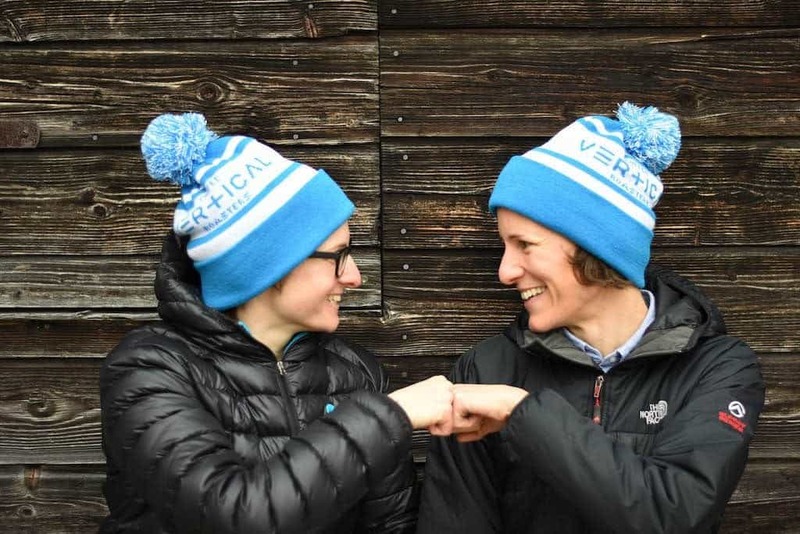 Simone Ernst and Denise Morf had zero coffee experience— besides for their coffee drinking habits— prior to jumping head-first to their business. In 2007, the general knowledge of coffee was quite limited by the Italian traditions. It is then they encountered an immense coffee culture while visiting Kailua-Kona, Hawaii. They did not travel from the mountainous Switzerland to the sunny beaches of Hawaii for holidays though. 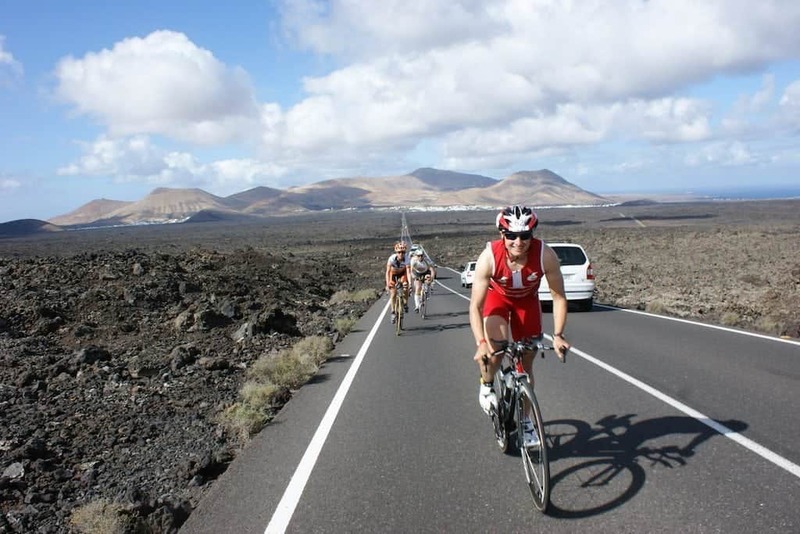 Simone came to take part in the Ironman World Championships. A coffee roaster and an Ironwoman? 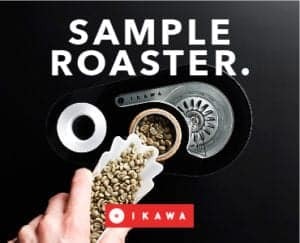 A combination that sounds more than convenient— if you know a little bit about roasting, physically quite a demanding profession. Hawaii opened their eyes to a coffee culture that was diametrically different from Swiss coffee drinking dogmas. It was refreshing, accessible and cool. “It seemed more contemporary and marketed towards our generation. And of course Hawaii is a coffee growing origin, so you could drink locally grown coffee everywhere,” Simone and Denise told us. What was the coffee like in Switzerland, then? “The image coffee had back in Switzerland was either grandma-style or old school Italian style (styled all in red-black-gold-brown). It was always marketed towards tradition and heritage and good-old-days, but in a bad way,” was their honest answer. That was the reason Simone and Denise wanted to change it. With the aim at their own generation, they wanted to bring a product that would be fun, cool and accessible. Simone and Denise’s background in high-performance sports have taught them a lot, for example: “… how to grit your teeth and carry on, even when you think you can’t. And you learn how to manage a situation with limited amounts of resources,” Simone draw the connection. 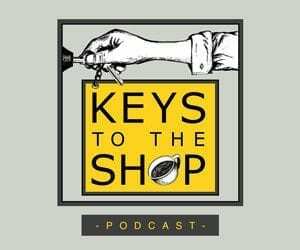 How do all their coffee enlightenment and sports activities reflect in what they do as a roastery? What they are working on is bridging the gap between the generation of coffee drinkers who did not know any other way than the dark-roasted coffees, and invite them to explore coffees that are of an actual flavour, have a character, as well as an impact. Not every roaster has got the means nor the space to set up their own roasting space and start right off with a top notch equipment. 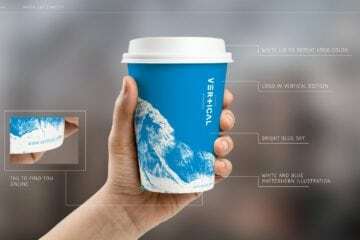 What happened to Vertical Coffee Roasters were rather unusual though. Their first roasting experienced opened up to them with a Probat UG22, a big machine that, together with close-to-no accessible information on roasting, did not allow them too much of experimentation, due to the lack of feedback about what was happening inside the drum. Today, that is something unimaginable. With the quality control and machinery that is involved in roasting nowadays, it would have been a faster, but also perhaps less authentic process of finding their own roasting style. Simone and Denise continued to turn their beans brown then until they stepped up to a new machine, the Diedrich IR12, which allowed them to a more controlled roasting process, as well as a better flexibility with how much coffee they would roast at once. The route to experimentation was open. 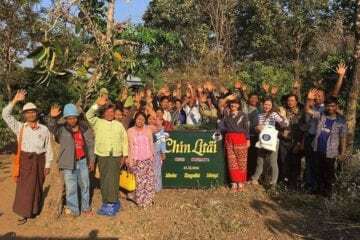 Nevertheless, getting people to care about coffee as a quality product, and not just something that is consumed in large quantities, was a challenge. Vertical Coffee Roasters were some of the first to spread the Speciality Coffee culture around. 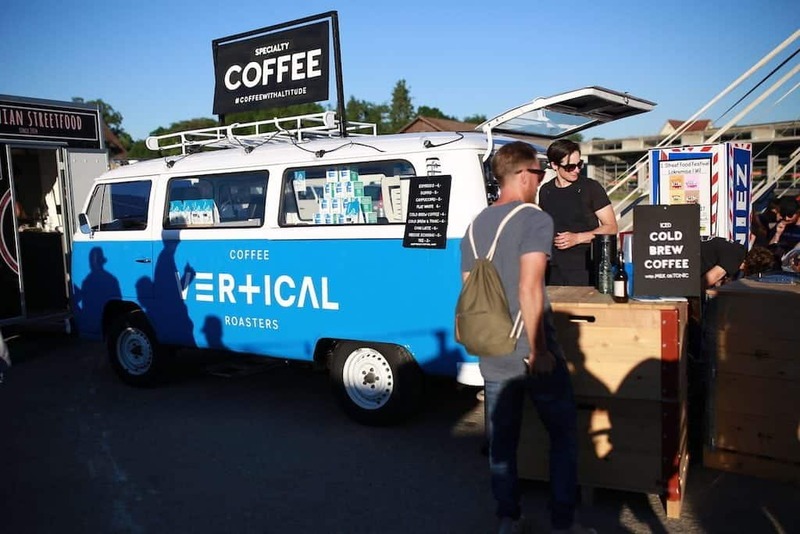 They hopped on the coffee waggon — quite literally — and started driving around, serving delicious coffees to the crowds. “We bought and refurbished an old 1978 Volkswagen Bus and put our espresso machine in the back. We did some caterings at a few markets and private events (this was 2011/2012 before the Street Food Festivals hit Switzerland) and showed the people how different and how much tastier Speciality Coffee was,” Simone and Denise remembered the important times for the development of their business. Through this direct communication with their customers, they realised that what they needed to progress further was a permanent place, where the customers could come drink their coffees every day. 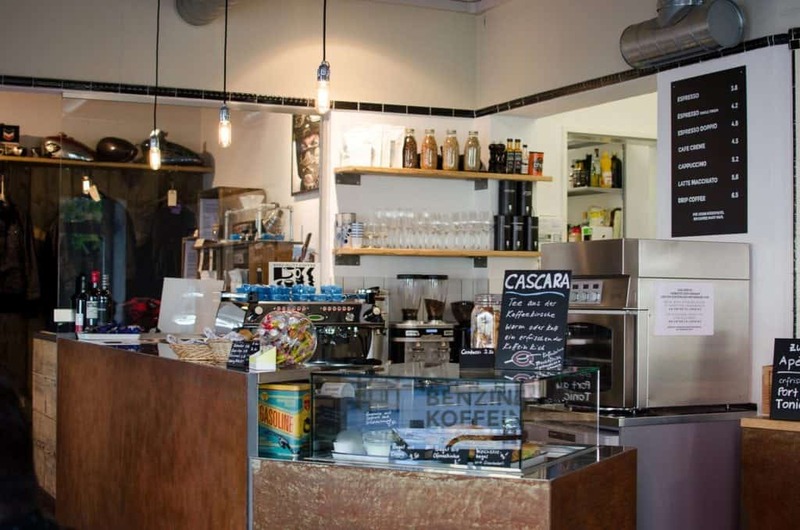 It let them to the opening of Benzin & Koffein with two other partners, back in 2014. It combined something unusual for Switzerland at the time. The coffee service was presented as an experience within a new kind of setting. Instead of the classic Italian-like setting, or grandma-style cafes, they served coffee in a vintage-style and a classic motorcycle interior. Benzin & Koffein gave them a great insight into running a cafe as well as the opportunity to spread the word about Speciality coffee. To top their coffee-car caterings, their Vertical Coffee Truck is now equipped with a top notch equipment. 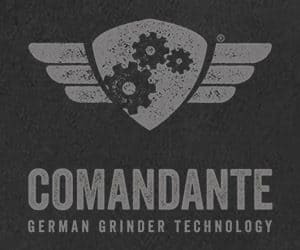 Maybe you have heard of it before, a 2-Group Victoria Arduino Black Eagle Gravitech and a Mythos One grinder. The machine is operated with water jerry cans and needs loads of external electricity. You might spot it at some of the many events Simone and Denise cater for. The roastery decided to rebrand in 2016, from what used to be Gipfelstürmer Kaffee. Chances are you have never heard that name before if you are not a German speaker. And Simone and Denise would not be surprised. 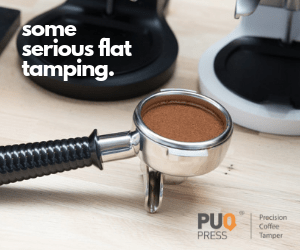 They realised their limitations with the original name — addressing an international coffee scene is more difficult if you only communicate your brand in German. The international customers they have become to create a relationship with would struggle with the name of the business and so the need for change became obvious and necessary. Gipfelstürmer Kaffee, the original name, means Peak Performer Coffee. “We wanted our brand to reflect our love for the outdoors and the topography of where we are located. And in a metaphorical sense, it also means top quality,” Denise explained the meanings. So they looked for something that would not only be more pronounceable but also something that would speak more about the brand itself, giving it a new boost and new look. It became more visible. The rebranding was planned for the beginning of 2017. A fresh way to start, with a new design. Kaffikaze, a professional designer and someone who really knows and understands Speciality Coffee, did an outstanding job with it. They captured the essence of what the roastery is about and what their passions are. The design captures that perfectly, in a fresh and modern way. 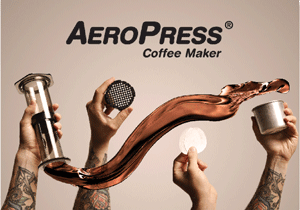 It is not an average Speciality Coffee design. It expresses the best quality combined with lighthearted adventure and fun. 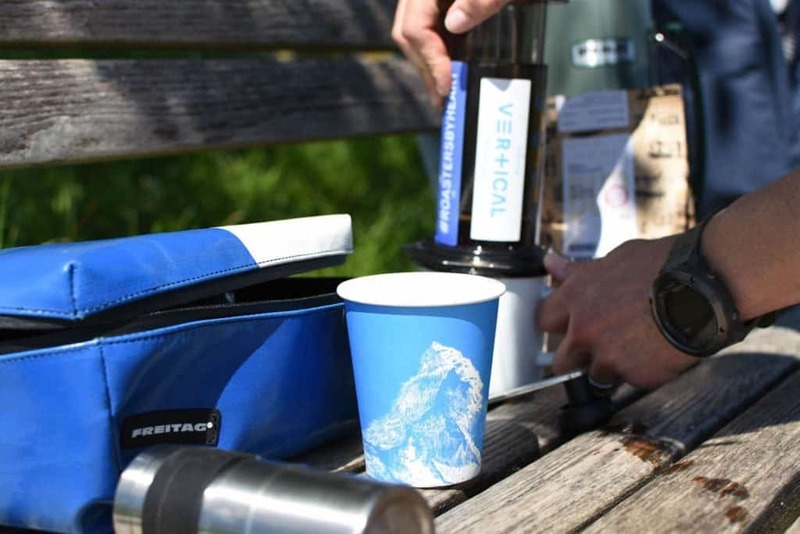 The launch happened at the Swiss Barista Championship and Coffee Friday Festival in Switzerland, where the roasters could showcase it to a broad audience. Denise and Simone are a great example of coffee people, whose interests, habits and skills go beyond coffee, or even precede their coffee path. In their case, it has always been the sports, and it is wonderful to see the pattern reappear in their coffee path. Furthermore, they support those, who are as much in love with coffee and sports as they are themselves. 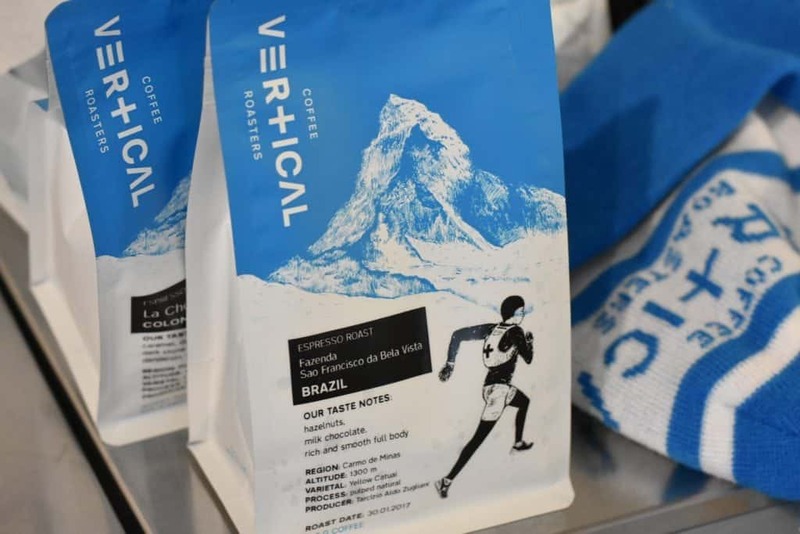 As many athletes drink loads of coffee, the most delicious form of doping, Vertical Coffee Roasters decided to supply them with it. 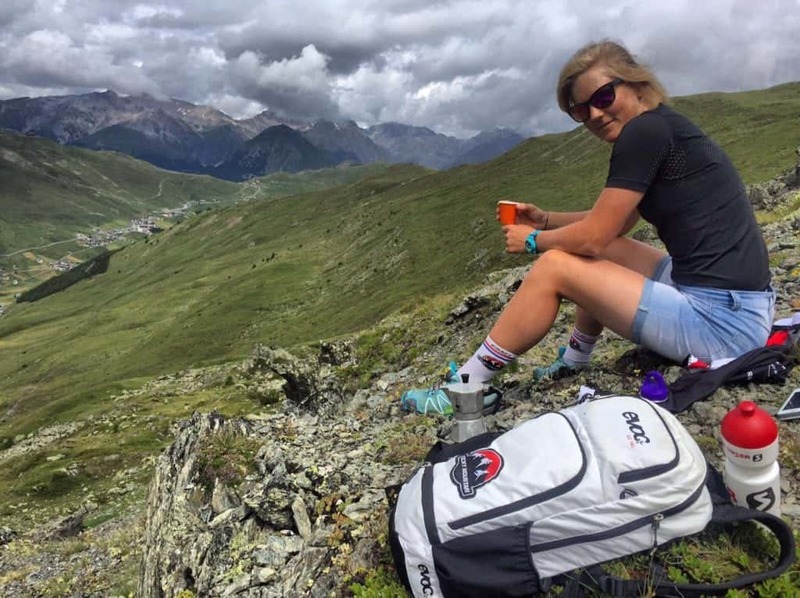 We can imagine that someone such as the Swiss snowboard cross pro Simona Meiler or Robin Gemperle, Swiss fixed-gear cyclist are a great channel to connect the coffee world with the sports world. The roastery also supports sportsmen of other nationalities living in Switzerland, such as Hielke Elferink, Dutch mountain bike pro. It is a gain for both worlds. The roastery has evolved a lot since its beginnings. From a massive machine and little control to a better quality and process control they have now. “We are roasting on a Diedrich IR12 roaster equipped with Cropster. The Diedrich gives us great flexibility with batch sizes and we roast either 5kg or 10kg batches,” Denise described the setup. The control over the process of roasting brought also better results in the actual cup. 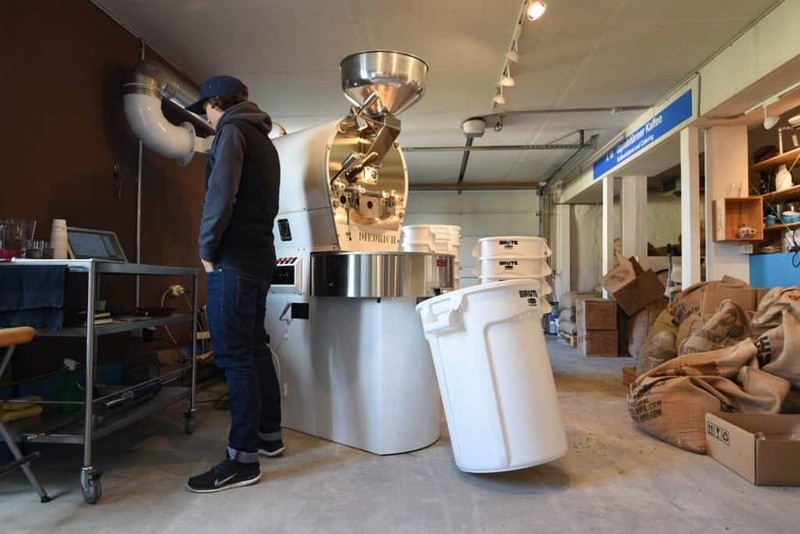 “Batch size flexibility was the deciding factor in choosing this roaster but it has so much more advantages. The infrared burners apply the heat very evenly and the airflow adjustments let you roast really clean,” Simone admitted. 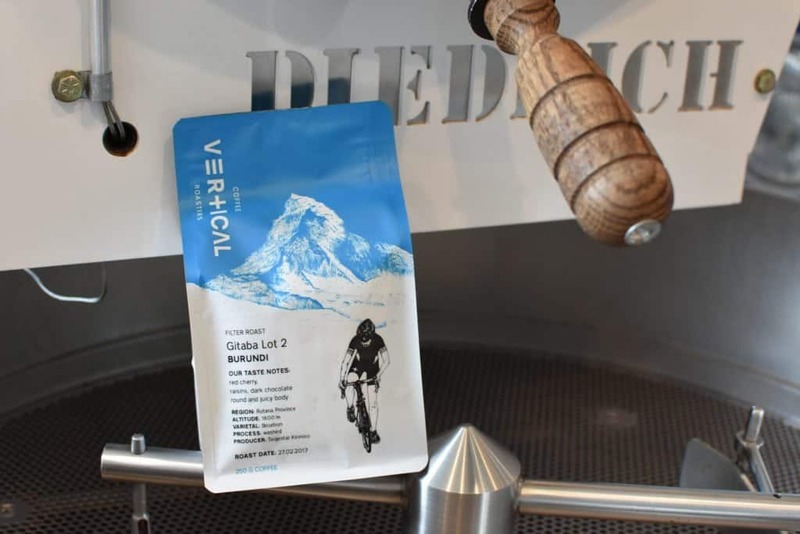 Vertical Coffee roasts on the lighter side of the spectrum — which still stands out in Switzerland — with a lot of attention to sufficient development of the roast, lively acidity and sweetness. Their roasts are different for espresso and for filter. 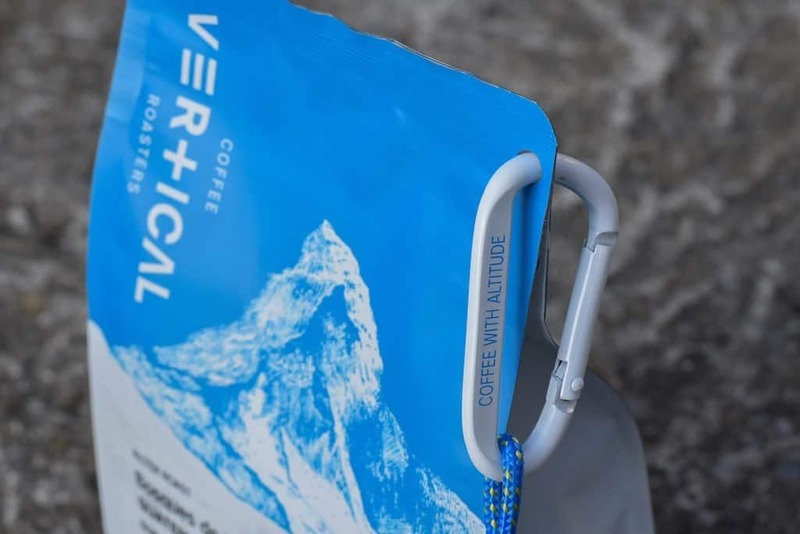 We are really excited about Vertical Coffee Roasters’ new design and wish them all the best. The ladies themselves are motivated and hard-working and do not plan to slow down anytime soon. “Our plan for the future? Of course lots and lots of tasty coffee! In the long run, we definitely want to grow our team, share what we have learned along the way and never stop progressing and learning. When we got into coffee and the Speciality Coffee, we were greeted with open arms. It is a very inclusive community and it is important that we don’t lose this.” Denise and Simone summed it up. We wish them the best and hope they will bring their tasty coffee to all different altitudes, with the nicest attitude we have experienced from them! 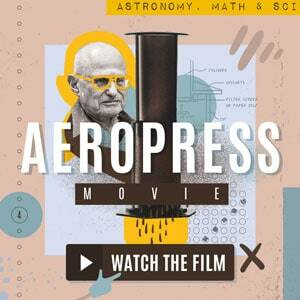 If you are keen on traveling up high with their coffee, check out the fresh beans online. We tasted their Burundi (which is the new crop from December) and an outstanding Guatemala Bosques de San Francisco and the Kenya Kagongo. 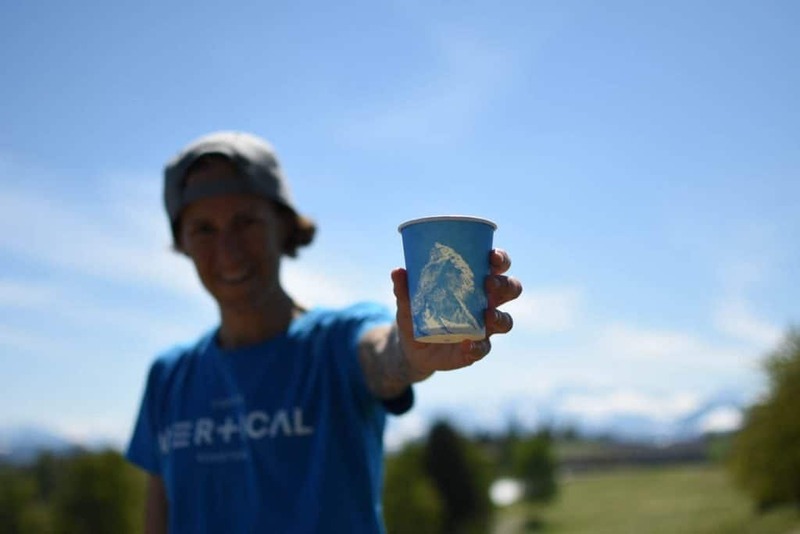 Find your own favourite with Vertical Coffee Roasters!